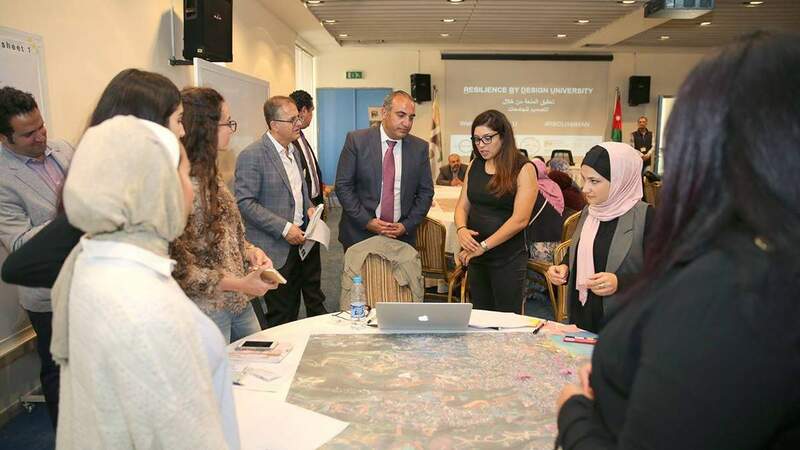 Representing Resilient Byblos, Sandra participated in "Resilience by Design University, " in Amman, a two days' symposium & workshop that brings academics, students and practitioners from the Middle East to test and define elements for teaching the planning and design of resilience in Amman, Ramallah, and Byblos. Organized by Rebuild by Design, the event took place October 14th and 15th, 2017 at al Hussein Cultural Center, Amman and was part of the Amman Design Week, in collaboration with 100 Resilient Cities - Pioneered by the Rockefeller Foundation and Studio X - GSAAP / Columbia University. and a visit from the Mayor of Amman. more on the event and workshop outcomes here.